NCAA Championship week, part 1, is finally here, and it’s time to present the official 2018 scoring cheat sheet. Based on psych sheet scoring of swimming events, below lays out how scoring would go. Of course, scoring will not go exactly to psych sheets. Swimmers will hit tapers, miss tapers, get sick, nail their turns, and all of this will lead to team scoring variances both small and wide. 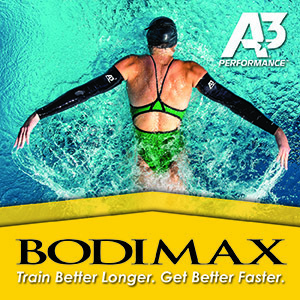 To see our formal picks and all of the preview coverage, visit the official SwimSwam Event Channel, presented by A3. 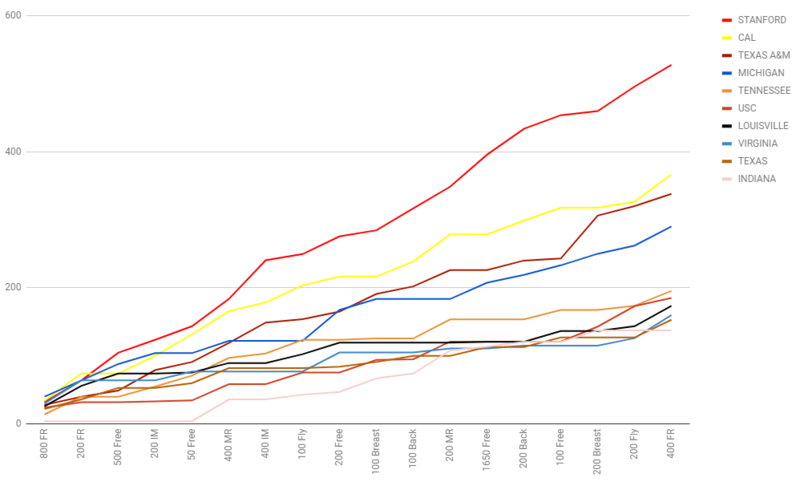 So, instead, we present this chart as a ‘scoring psych sheet.’ If you want to know how well your team is doing, if they’re hitting their taper or not, the graph and chart below will tell you. Note: diving events come after the 50 free (1-meter), after the 100 back (3-meter), and after the 200 fly (platform). 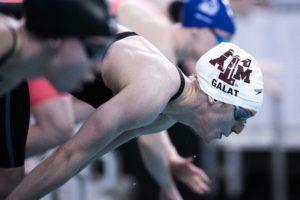 Texas A&M makes a big move on day 4 of the meet. That big sharp jump comes in the 200 breaststroke, where the A&M are seeded to score 63 points – the single-highest event total of any team in the meet. 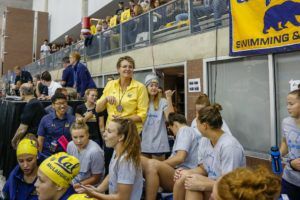 The breaststroke also happens to be Cal’s weakest event – they’re not seeded to score any points in either distance. 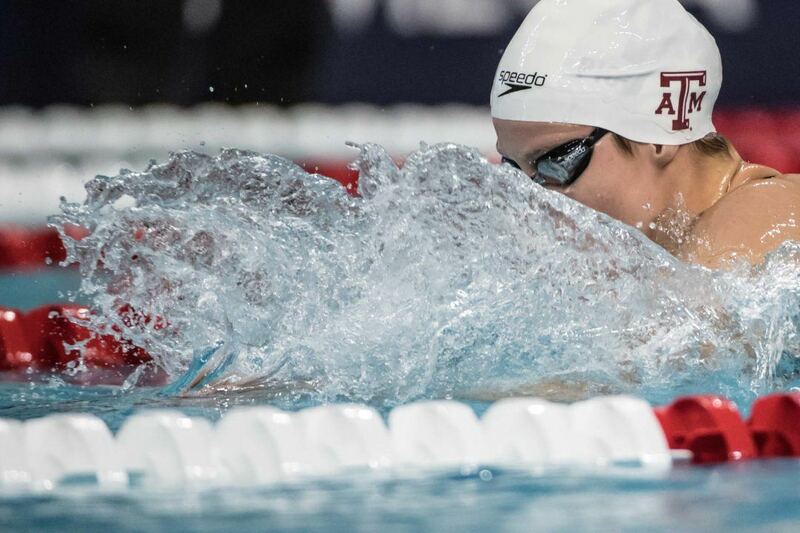 The 2nd-highest event total is Stanford, who is seeded for 57 in the 400 IM (they have the last two American Record holders, Katie Ledecky and Ella Eastin, entered). That event should be the one where they really separate from Cal and start making their inevitable dash to the finish. If Michigan is going to battle for a top 3 position with Cal and A&M, the freestyles are going to have to be their big moves. 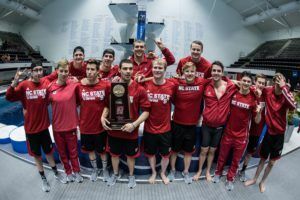 They are seeded to score 107.5 of their 180 individual points in freestyle disciplines, and specifically in the 4 longest events. 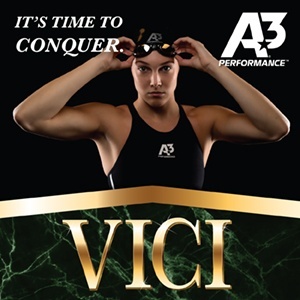 That includes 45.5 seeded points in the 200 free. They should get close to A&M after that 200 free, though they too will have trouble holding on to the Aggies’ breaststroke surge later in the meet. On paper, there’s clear separation between the top 4 and the rest of the top 10. Things get especially tight in the bottom-half on the final dday of competition, which is Tennessee’s weakest day. Indiana has a big day on day 3, and Texas’ diving will go a long way toward lifting them toward the top of that pile.